The wrong choice of shampoo with my oily scalp in nature has created a nightmare to the beginning of my hair lost problem. For the whole entire year I've changed all different types of commercial shampoo but will only cause my heart to ache as I see a large amount of hair washing down the sewage hole every time I bath. So I tell myself... I've got to do something about it. That where I created all natural Beer Shampoo. Beer contains proteins that help repair damaged hair, add body and volume. 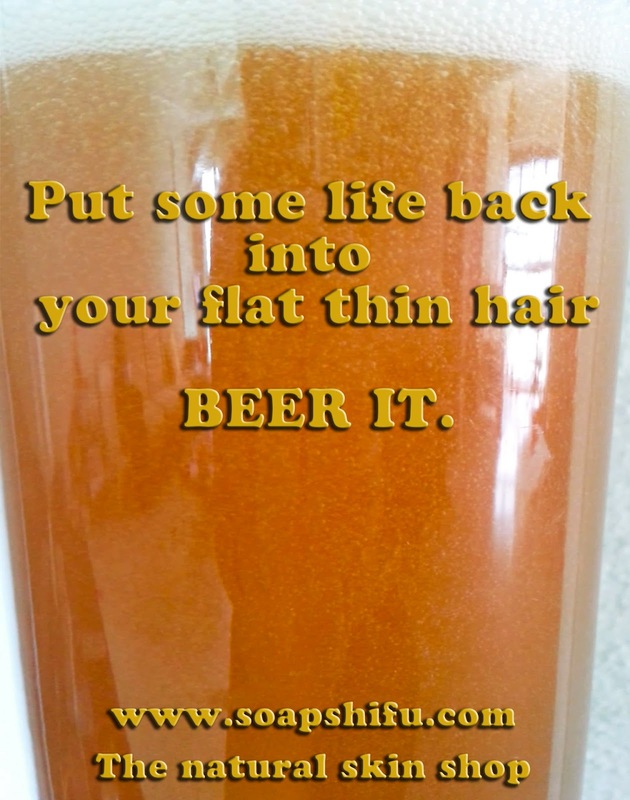 B vitamins found in beer promote hair growth. Maltose an ingredient used for making beer helps to strengthen hair. Hops & yeast are great for flaky scalp conditions especially caused by oily scalp. Our natural honey are added into the shampoo to aid thin or lusterless hair. Rich in nutrients help provide strength to your hair as well as adding body and preventing hair fall. Beer shampoo is typically used in the same manner as regular shampoo, with an adequate amount applied to the scalp base on your hair length, worked through the hair, and then rinsed out. * Note that all our shampoo or shower gel are free from chemical , preservatives and lather emulsifier to ensure 100% natural. 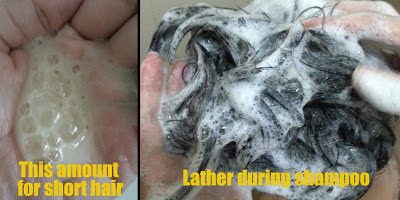 You might experience thin lathering while washing. 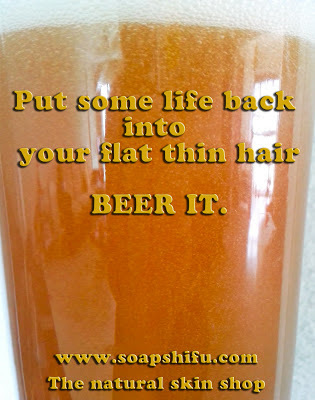 Beer will replenish hair and give it vitality, but a healthy diet is essential to healthy hair. Drink plenty of water to help keep hair silky. Eat protein to strengthen hair and stop splitting. Include iron to carry oxygen to hair and zinc to build hair protein. Copper will optimize hair color, and Vitamin A will keep the scalp healthy, while Vitamin B and C will help hair growth and color.